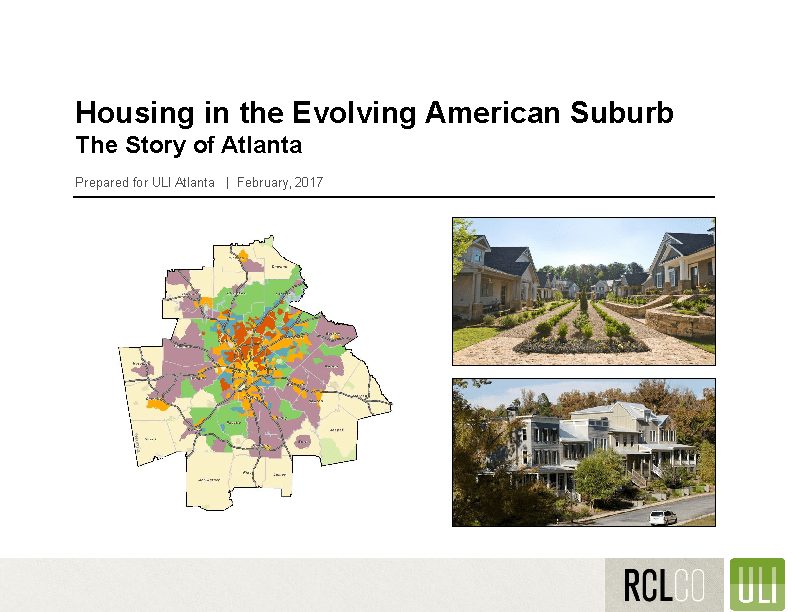 ULI’s Terwilliger Center for Housing, in partnership with RCLCO, released an in-depth study covering the evolution of urban and suburban housing markets. Specifically, it took a fresh look at how we define urban verses suburban and the wide variety of housing characteristics and development opportunities. RCLCO’s report identifies 5 unique suburban markets ranging from Established High-End Suburbs to Greenfield Value Suburbs as well as macro-trends driving future suburban housing demand. On Tuesday, February 7th there was an in-depth presentation from the report authors — including a detailed analysis of the Atlanta market — followed by a star-studded panel discussion covering current trends, market variances, and changing consumer preferences.